SpecTalk by Rhythmic Robot is Soundware (e.g. samples or presets that load into other products). 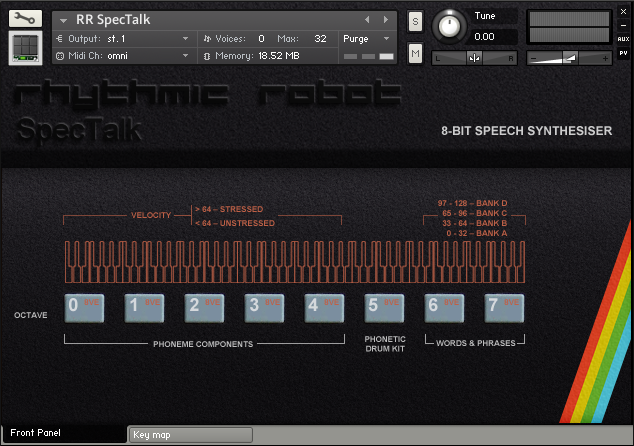 SpecTalk is a sampled version of a genuine 1980s computerised speech synthesiser. It creates monotone robot voices, robot sound effects, 8-bit vocal phrases and glitchy stutter effects. It includes a complete phoneme set allowing the user to create any vocal word or phrase imaginable, plus four banks of pre-prepared words and phrases covering a variety of styles (from dance floor ad-libs to old science fiction quotes). The sound is entirely 8-bit and far more authentic than using a vocoder to emulate "robot voices". It also includes a built-in drum kit made by the speech synthesiser "saying" drum sounds (so the bass drum is "buh", the snare is "tshh" and so on). The source for SpecTalk was the Currah MicroSpeech hardware add-on for the Sinclair ZX Spectrum home computer. This was an 8-bit hardware speech synthesiser that converted any key press on the Spectrum to a spoken word, and also allowed for specific word and phrase creating via simple BASIC programming. All the component phoneme sounds, plus full words and phrases, have been sampled. SpecTalk is ideal for sound design, glitch, experimental and dance music, where its phonetic components can be treated as musical or rhythmical elements in their own right (they respond particularly well to further processing); and of course for creating robotic-style ad-libs, shout-outs, voice-overs, vocal phrases and stutter effects with a uniquely old-school 1980s flavour. 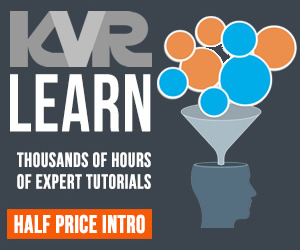 Full details, audio demos and background are all available at Rhythmic Robot. 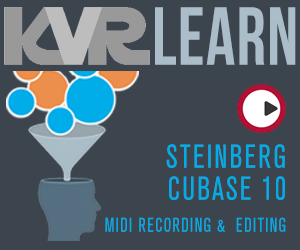 Complete phoneme set allowing the creation of infinite original vocal phrases. Built-in library of pre-recorded phrases and words. 8-bit quality throughout (sampled at 24-bit!). Phoneme components ideal for sound design and further manipulation. 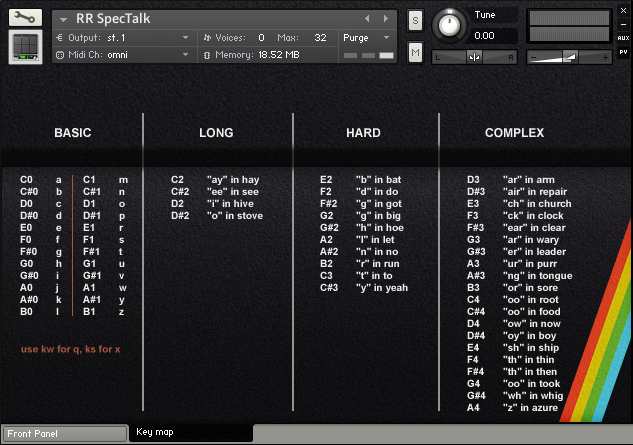 SpecTalk is available now from Rhythmic Robot and requires Kontakt version 4.2.3 and above (including Kontakt 5); not compatible with Kontakt Player.